The perfect thank you gift for your groomsmen, these dashing cufflinks match their personal style and make an excellent keepsake! 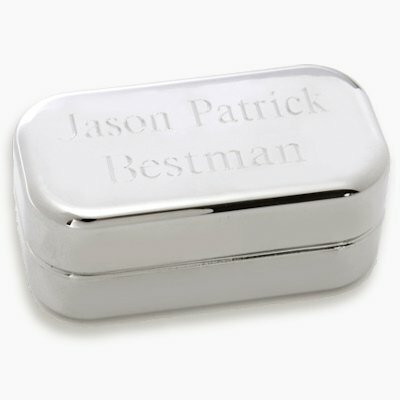 Choose from 16 different styles of cufflinks, each set is packaged in a 3" by 1 1/8" by 1 1/2" silver metal case that is lined in black satin and personalized with two lines of text (15 characters per line). These unique silver ball cufflinks are perfect for one with exotic taste.